The Swiss writer Christian Uetz was born in 1963 in Egnach. After training to be a teacher in Kreuzlingen, he studied philosophy, comparative literature, and ancient Greek at the Universität Zürich. He first became known for his poetry and made a name for himself as a performer of experimental poetry. He often performed at literary events and festivals for poetry and spoken word, including events in New York, Berlin, and Medellín, Colombia. He published his poems in a series of collections and recorded them as CDs with jazz and improvisation musicians and composers. The overflowing energy of his performances matches the linguistic eloquence of his poetic texts. His verses shine with existentialism, passion, and sentimentality, his language densifies into an imploring, almost excited intensity. »The syllables are onomatopoetically closed, their seams are filled with letters until they threaten to burst or the words find a new meaning.« (»Berliner Zeitung«). 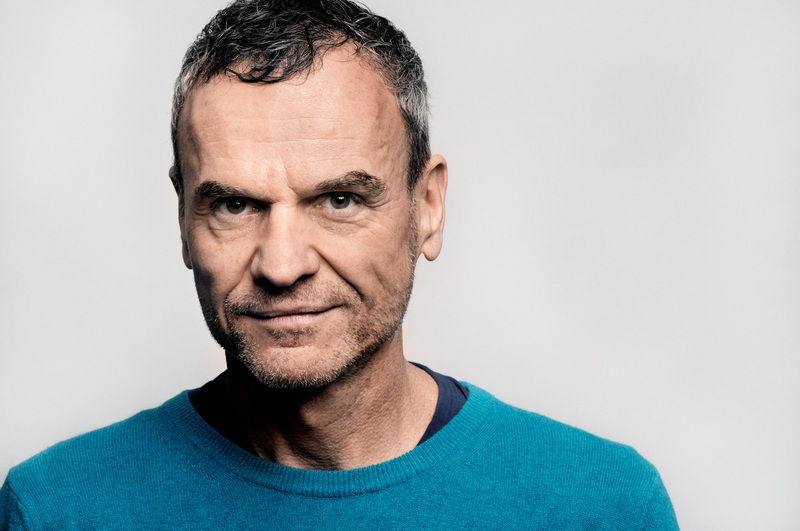 For his literary work, Uetz has been awarded, among others, the 3sat Prize of the Ingeborg Bachmann competition in 1999, the Federation of German Industries Prize in 2005, and the Bodensee-Literaturpreis in 2010 for his complete oeuvre. He lives in Zurich as a freelance writer.